Ace Seeds - Orient Express. Free US delivery. 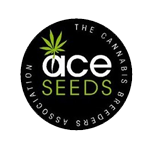 ACE Seeds Orient Express is a potent F1 marijuana hybrid from Ace Seeds industry whose breeders combined the high production of aromatic and resinous flowers of a Vietnam Black mother with the low height and short flowering time of a Yunnan Chinese indica. This cannabis strain is sativa dominated and shows characteristics typical for sativas, except, maybe, the height. Ace seed selectors did their best and created a petite Asian lady perfect for indoor and outdoor cultivation. Her size doesn't exceed 130 cm, the plants developed from Orient Express seeds, are column like with more buds sites than on an indica. The buds are somehow less dense, however, the final product is of an incredible quality. THC content is said to be between 14 and 16%, giving a cerebral sativa effect, less strong on the body and with a more pronounced effect on the brain, where it goes from a creative feeling to a trippy one according to the power.